Cardiff’s Kidney Research UK shop featured on the first episode of the new series of Doctor Who on Sunday evening. 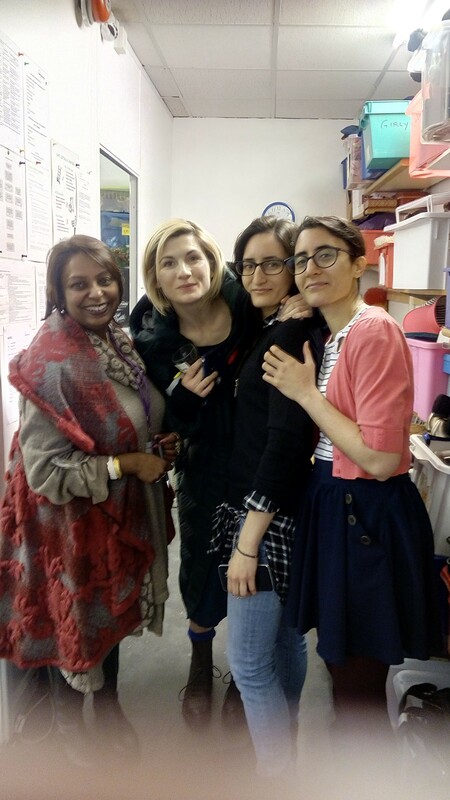 Reportedly watched by more than 8.2million viewers, the new female doctor, played by Jodie Whittaker, got into her signature outfit in the changing rooms of the store. Staff at the shop on Cowbridge Road East have been sworn to secrecy since filming took place almost a year ago. The film crew spent an entire day in the shop, with one lucky volunteer, Christine Fowler, being picked to be an extra in the form of a shop assistant. Kidney Research UK is the only charity dedicated entirely to improving the understanding and treatment of kidney disease. The Cardiff shop is also currently recruiting volunteers. Anyone interested in getting involved can pop into the shop on 307-315 Cowbridge Road East, Canton, or call 02920 485 595 and speak to Tams, the shop manager who will be happy to arrange a taster session.